Copyright © 2007 - 2018 Diane Sherlock - All Rights Reserved. Contents of this site including text and media may not be reproduced without prior written consent. At the end of the video is a questionnaire, a shortened version of the one on his website. If you have a high ACE score, you’ll score high on this one. But if your ACE score is low, but you still have the nagging sense that something was off, this is useful. Links on this blog are affiliate links. Appreciate your support. Why do we write certain stories? There are probably as many answers as there are writers. Growing up, I wanted to write a novel – I finally realized it was a question of when. I had to start or it was never going to happen. 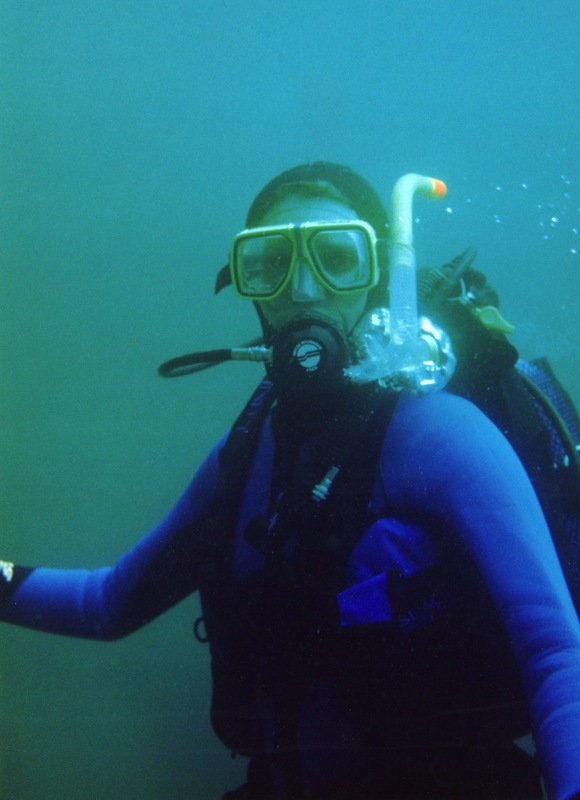 At the time, I was enamored of scuba diving and wanted to explore that on the page. Daydreams, what ifs, fragments of overheard conversations, curiosity and a few unknowns go into the mix when I’m writing (more of a pantster than a plotter). I remember the chlorine-scented moment at our first pool-side scuba class when I realized I was really going to have to do it myself. That moment of whoa! helped me write the novel. No one was going to put my tank on for me, no one else could breathe for me or take that giant step off the deck or monitor my gauges. I was responsible for my survival. Yes, you dive with at least one other person and yes, you learn what you are doing before you enter the ocean, but in large part, as under the sea, so in front of the screen. Taking a leap into the ocean helped me to start and keep putting words on the page until I had a book. And with both, once I was into it, the fun took over. Diving the giant kelp forest off Catalina Island feels like flying. It’s so beautiful. Seals came up and blew bubbles in imitation of those from our tanks. Shafts of sunlight danced through giant stalks of swaying green as bright orange Garibaldi darted in and out. It’s a magical experience and I wanted to give that to readers, plus a “what if” experience of things going to extremes. What dead weight have I shed? The dead weight of awful generational patterns and anger at my damaged and capriciously cruel mother; certainly of relationships that did not work out. I shed the dead weight of behaving as if my time here is unlimited. For the month of June, I’m offering my first novel, DEAD WEIGHT, for 99 cents via Smashwords. Please buy it! Thank you. Now, what about you? Please share your own “dead weight” experience in the comments (play nice).